general project information added at the beginning of each project. BASICS Information from front part of book. while you make this attractive box. epoxy, and how to use a scraper. making really tight fitting lids. are just as they appeared in the book. return the email with the links attached. to make a different box. 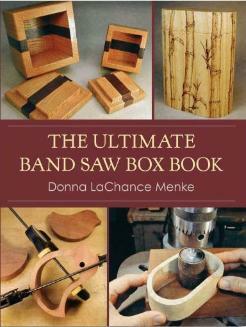 and other band saw box makers. on how to carve the shell top. and key work. Worth the effort. wood burned they look great. wood into a fine applique. can get as snug a fit.